The Rwanda Revenue Protection Unit (RPU) has intercepted about 80 tons of second hand clothes that were being smuggled into the country. Chief Supt. Sam Bugingo, the Commanding Officer of RPU, a Rwanda National Police (RNP) arm attached to Rwanda Revenue Authority (RNP) to fight fraud and smuggling said the clothes were seized in various operations in the last three months. “We have impounded 24 vehicles countrywide in the last three months which were sneaking a combined quantity of about 80 tons of second hand clothes,” Chief Supt. Bugingo said. The most recent interception involved a FUSO truck, No. RAC 905B that was intercepted in Matimba, Nyagatare District last week loaded with 80 bundles of second hand clothes. The smuggler had declared in customs that he was importing maize flour. However, the Kigali-bound truck was stopped and checked along the route, only to find that ten sacks of maize flour had been used to cover bundles of clothes. On Sunday, at about 4am, Police in Karongi District also intercepted another truck with 30 bundles of second hand clothes, which were covered by timber. Last month, RPU also intercepted a Ugandan registered truck, UAW 378F with 123 bundles of second hand clothes. The owner, who has since been sentenced to four months in prison and fined Rwf23 million, had declared at Gatuna border post that he was importing cassava flour. Article 200 of the law establishing Value Added Tax, stipulates that any person with undeclared goods shall be liable to an imprisonment not exceeding five years or a fine of 50 percent of the dutiable value of the goods involved, or both. “We have mapped out major smuggling routes. They include Rusizi-Karongi-Kigali route; Rubavu-Musanze-Kigali; Nyagatare Kigali, and Kirehe-Kigali. There are also other porous border posts that are used by pedestrians and cyclists,” Chief Supt. Bugingo said. “Almost all the seized second hand clothes had no certificate of fumigation and country of origin, which is also a prerequisite,” he explained. Fumigation is meant to prevent any disease or pests that can be transmitted through used clothes. “We have increased our countrywide operations and awareness, and they are paying off. Majority of our successful operations are based on credible information from the people, who are our major partners. But we also work with security organs stationed on borderlines,” he added. According to Robert Mugabe, the deputy commissioner in charge of Revenue Investigations and Enforcement in RRA, the smugglers had evaded taxes over Rwf200 million. 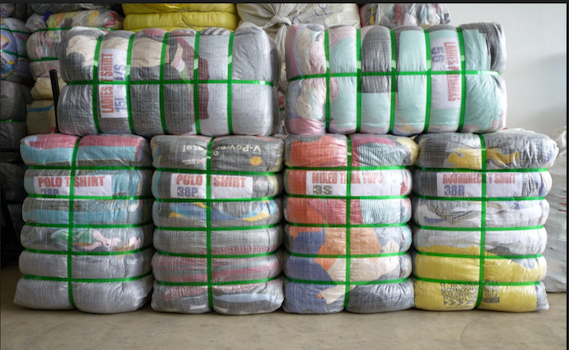 “We are aware that there are some traders who have resorted to illegal importation channels of used clothes, but we have also identified means used with some of them guising as transporting timber, sand, cassava and maize flour, among others,” said Mugabe. “This is a lot of money that can improve the wellbeing of the people by constructing more health centres, schools, procuring medical drugs or even fertilizers to increase on crop production. This is why it also falls in their day-to-day responsibilities to fight all sort of illegal trade and smuggling in particular,” Mugabe said.